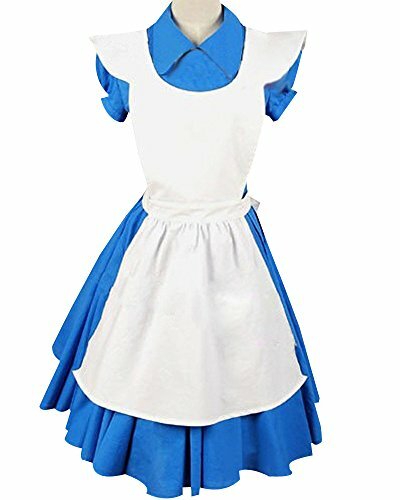 Shiny Alice constume for girls. 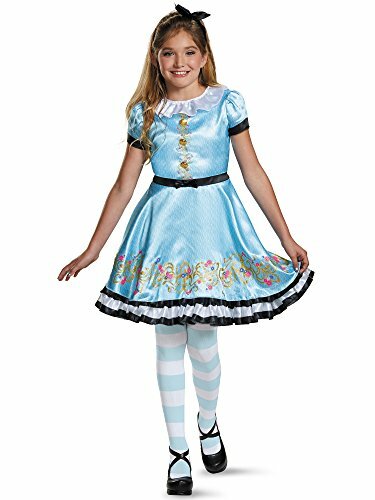 The costume includes a baby blue dress with a floral pattern, black trim, and bow, and a striped ruffled underskirt. Tights and headband are also included.